Hey everyone! My name is Kelly and I just started working as a Global Room Student Ambassador this very Monday morning. Already today, I have assisted a tour of campus with Byrne Hacking, where we met students from the University of Macau (who all loved Trinity! ), and I’ve helped with the set-up of a lunch reception for a graduation ceremony. My first day on the job has already rejuvenated my love for this university and my on-going excitement to be doing research here. I am currently an M.Phil in Irish Writing student but will finish up this August and jump right into my Ph.D with hopes that the momentum will allow me to write my first book! 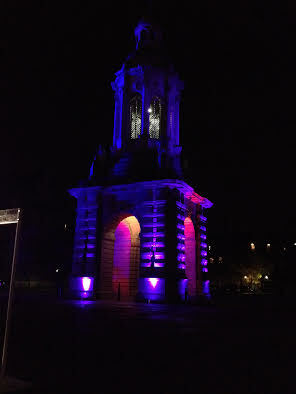 Trinity College is genuinely such a lovely place to be LGBT. Even before I came here I saw a YouTube series that Q Soc (Trinity’s LGBT society) had made which talked about members’ positive experiences in Trinity, so I didn’t have to worry at all about whether or not to come out at college. Trinity has a wide array of societies to join. It was actually hard to decide which ones I would be able to be a part of because there are so many choices yet limited time to spare, accounting for lecture and study time. But when I made my choice to join the International Students’ Society (DUISS), which is one of Trinity’s most active societies, I knew it was the right one, since it has a great reputation. DUISS is a wonderful society to join whether you are an International or Exchange student, or even if you are Irish and just want to meet new people from different parts of the world, so all students from Trinity are welcomed to join. DUISS’s key activities are centered around travelling, and making sure students see the top sites from all over Ireland. But also, DUISS puts on movie nights, as well as pub gatherings where people have more opportunities to socialize together. Usually during the pub get togethers, the first one hundred people to arrive get free drinks, but everyone gets free food. The best part though, is that it only costs three Euros to join! Alec is one of our first year students from the US studying at Trinity. Here he lets us know about his experience of studying History and Political Science at Trinity, one of our Top 10 Courses. 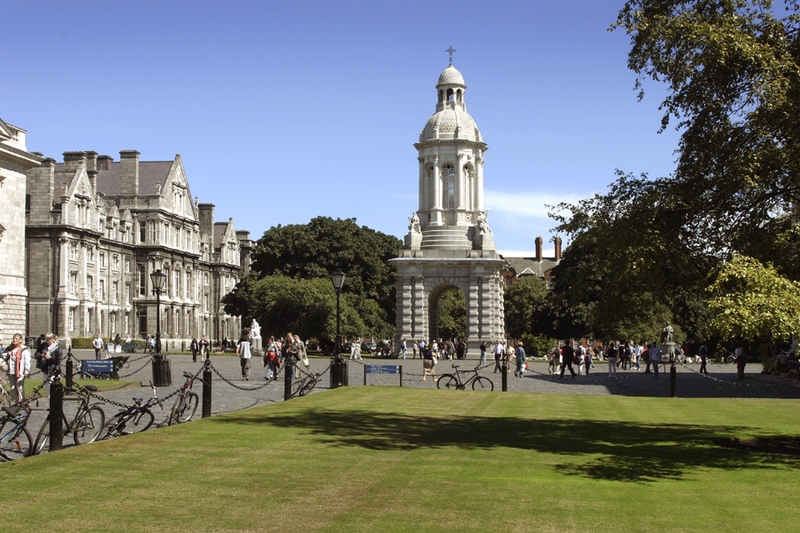 When I first came to Trinity in September and met my peers, professors, and Dubliners in general, the first question they would ask is why I chose Trinity. Indeed, the decision to go overseas is certainly not a decision you make lightly. In short, I found the opportunities and the education trumped any other school I looked at, domestic and international. I didn’t choose Trinity because of its location (although, that is a fantastic asset). I didn’t choose Trinity just because it’s in Europe (again, also a fantastic asset). I chose Trinity because I am spending four years doing what I love and better prepare myself for a future career. Over the next four years of studying History and Political Science, I will spend my time studying advanced topics and policy issues. Certainly any transition into University is difficult, whether your school is miles from home or across an ocean. However, Trinity’s resources and staff are experts in helping with homesickness and general transition. Trinity students are assigned an advisor that meets with you periodically to discuss academic and other aspects of life at Trinity. I am living in Trinity Hall in my first year at Trinity. The Welfare and International Welfare Officers on duty both provide a walk-in service to discuss any difficulties residents may have during their time in Halls. A similar service is available to the college at large through the students union. I have made good use of both services. The first few weeks away from home were difficult, but I sought help through the welfare officer and my tutor. They both gave me tips on how to succeed and overcome the difficulties of being away from home. One of the tips was to immerse myself in Trinity’s ever expanding list of student societies. I joined The Philosophical Society and took part in one of their famous Thursday night debates. I also joined the Trinity Hall entertainment team that plans, schedules, and runs student nights out for Halls residents. Trinity has plenty of extracurricular activities to partake in! Chances are that if you have a particular interest there is already a club or society for it. If not, start one! The central societies committee works with students to help get funding for new societies as well as attracting new members to existing ones. Check out their website too! 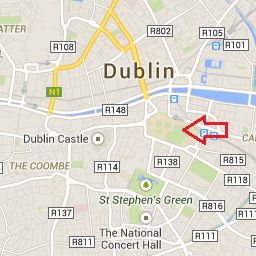 What is your favourite thing about Dublin? Dublin is a fantastic city to learn and live in. Consistently ranked as one of the top places to go before you die, Dublin is Ireland’s cultural, economic and social hub. Artists, bands and writers from all over the world flock to Dublin and often take part in public exhibitions, speeches, concerts, and other events. I had the opportunity to see Apple CEO Tim Cook speak at Trinity in the Fall. A few weeks ago, I saw Kevin Hart and Ice Cube receive patronage from one of Trinity’s Societies. Other major figures like Tony Blair, Angela Merkel, and Bill Clinton have made visits to Trinity while in Dublin, certainly making celebrity watching a big part of the life of a Trinity Student. Guest Blog – Careers and Your Trinity Life: 5 ways you can jump in and stand out! Marielle Kelly is one of Trinity’s Careers Advisors. She regularly travels with the TCD Global team to speak to students around the world, and will be attending our upcoming US Open Days in New York and Boston. 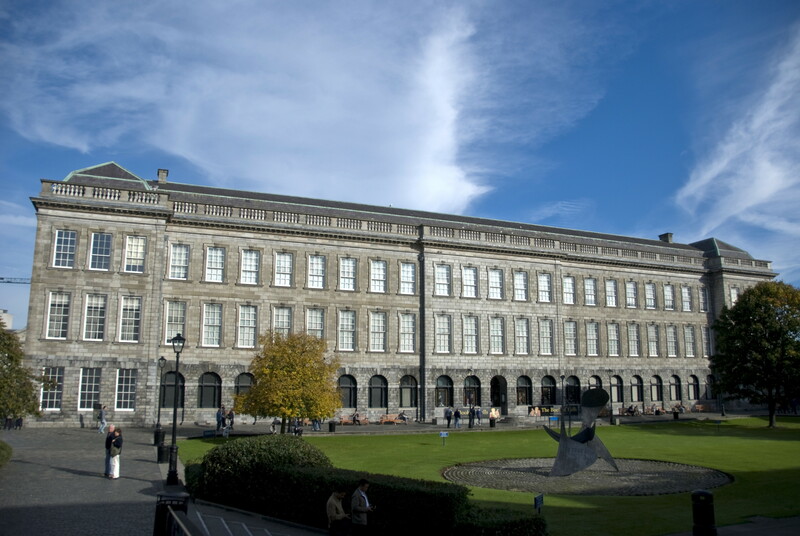 There are so many ways to develop your skills and learn outside of the classroom while studying at Trinity College Dublin. 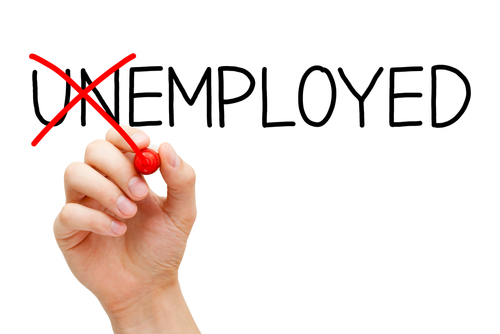 Great grades are important, but employers look for so much more than that. They want to hire exceptional graduates who can demonstrate their abilities through involvement in activities outside of the curriculum. 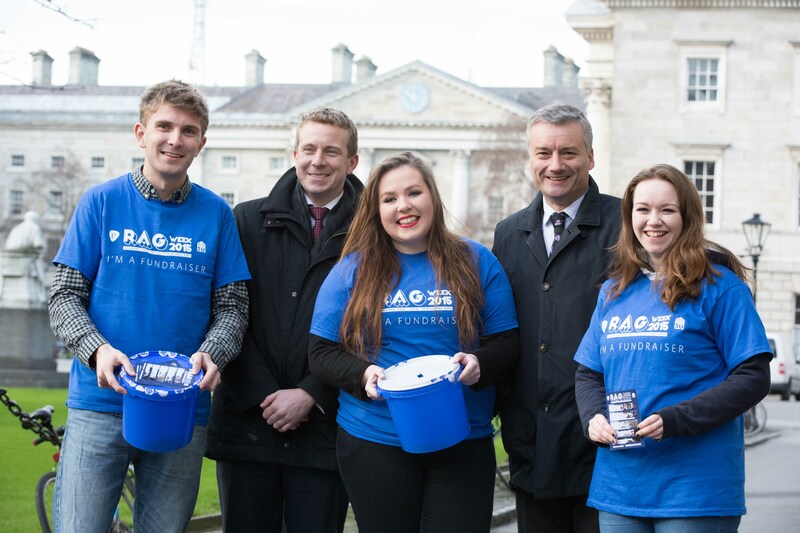 Trinity College Dublin provides and promotes many ways for you to get involved, here are five ideas to get you started! We have a state-of-the art sports centre and over 40 sports clubs. Employers love to see that students have taken part in a sport, because it shows drive and commitment – fitting in regular training sessions isn’t easy! 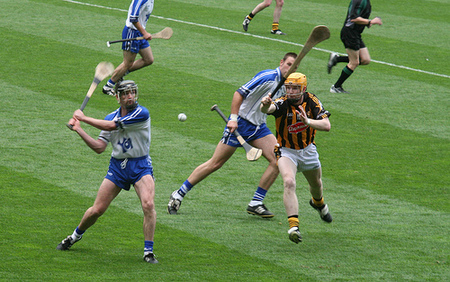 Being part of a sports team, like our rugby or ultimate Frisbee teams, or Gaelic football if you want to try our national sport, is a great way to prove that you are a great team player. Or perhaps you’re more interested in individual sports like athletics, golf or boxing, and these can really demonstrate your ability to motivate yourself to succeed. We’re a target university for top graduate employers like Bank of America, KPMG, Deloitte, PWC and more, and the Careers Advisory Service advertises hundreds of work experience and internship opportunities every year. Doing a summer internship is a great way to get work place experience and understanding what type of career you would like to have after college. It can be tough to decide your next steps, so the more practical experience you can get in the work place, the better placed you will be to make decisions about your future or your next direction. Employers will appreciate that instead of spending all your summers on a beach, you were proactive and did something to improve your employability. Competing, and succeeding, looks fantastic on your resume. It highlights your competitive streak, and shows how you are able to get ahead of the crowd and outperform your peers. That’s the kind of graduate employers like to hire! Depending on your interests you could take part in competitions such as Google’s Online Marketing Challenge, the Deloitte Top Technology Competitiong, the GradIreland National Student challenge and more. Volunteering is a brilliant way of contributing to society and developing and demonstrating a whole range of skills and attributes. It shows that you have a social conscience, but it also displays initiative and a strong work ethic, because it takes work to balance different commitments. Depending on the type of volunteering you do, you will also develop skills such as teaching if you support a younger person through TCD’s Voluntary Tuition Programme, or supporting others through our S2S student mentoring initiative, or your ability to work in different cultural situations if you choose to go overseas with SUAS and work on educational projects in Kenya or India. You will get life experience, you’ll learn new things, and you could also get a reference. There’s so much to gain when you give back! 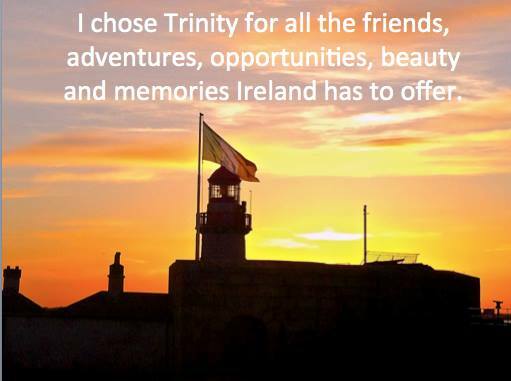 Why our Ambassadors picked Trinity! Pop into the Global Room 9.30-9pm Monday to Friday to meet our Ambassadors and find out more about their experiences at Trinity.